Thanks to the heightened focus on tea service at some of the city's best coffee shops, and the growing clutch of tea-focused retail and cafe experiences found across town, there's never been a better time to dive into the local tea scene. But with so much choice, it can be hard to know where to start—particularly when some of the best tea selections are found in places you might not think to look. We're here to help. Whether you're a refined connoisseur or a curious beginner, here's where you'll find the top tea programs in the city. 909 N Beech St., 503-867-8905, flyawakepdx.com. Noon-8 pm daily. Decorated in the style of a pan-spiritual opium den, Fly Awake is a two-story lounge dedicated to the Chinese tradition of "gong fu cha," which refers to both the preparation style—involving a gaiwan, or small clay teapot—and the emphasis on personal interaction. At Fly Awake, each steep is overseen by a staff member, and the focus is more on energy than flavor notes. On the menu, teas like Wizard's Eyebrow—a yancha, or rock-tea style oolong from Wu Yi—are touted as helping the drinker to "strengthen and self-realize." This is also the best place in town to explore the psychotropic teas from China's Yunnan province. A good place to start is the Forgotten Treasure sheng pu'erh, which begins intense and astringent before mellowing out after repeated steeps into an altogether sweet, harmonious cup, with notes of melon and honey. Be forewarned, though: As the menu notes, "After several cups, one may be confronted by a young dragon!" 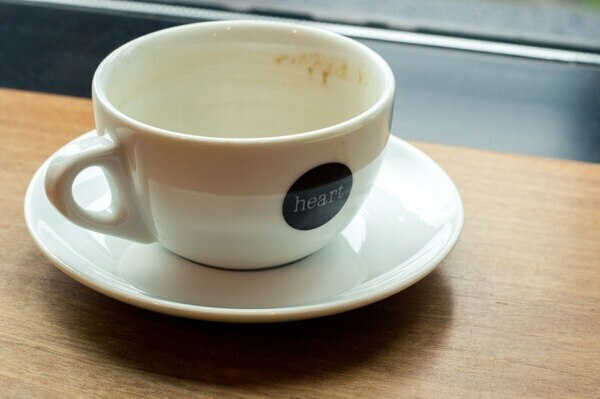 Multiple locations, see heartroasters.com and goodwith.us. 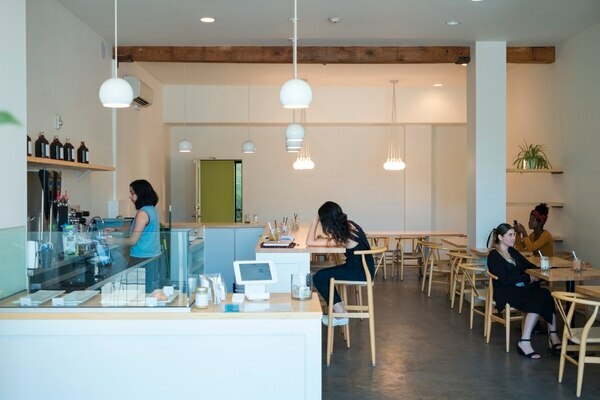 Perhaps paradoxically, these progressive Portland coffee institutions are among the city's best places to sip tea—both are quality focused, designed with Scandinavian minimalism that employs lots of empty white space, and have good stereo systems to boot. Both franchises source their tea from Song Tea, a world-beating, high-end San Francisco company that imports tea directly, with a focus on Taiwan and the Chinese region of Fujian, directly across the Taiwan Strait. 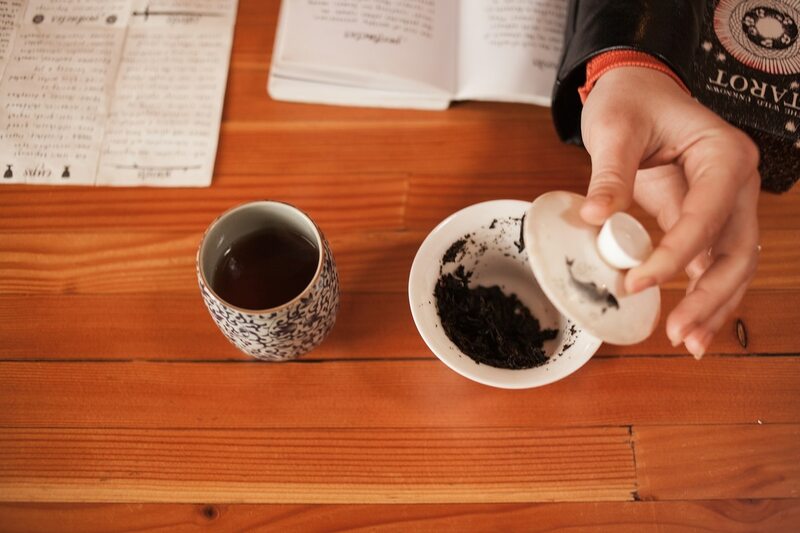 At Heart, you should order Song Red as well as Fragrant Leaf from Sichuan—both exemplary takes on the oolong style, with attention to detail on things like steep times and service vessels. It's a similar story at Good Coffee: A recent serving of Song's Nantou Dark—a lovely example of the Qing Xin cultivar grown high in the hills of Nantou County, Taiwan—had me coming back for a third, fourth and fifth steep, with long-lasting notes of cane syrup and buttered pastry. 3430 SE Belmont St., 503-736-0119, taooftea.com. 11 am-10 pm daily. A major hub for tea in Portland since 1997, the Tao of Tea cafe and "leaf room" on Belmont offers a kaleidoscopic take on tea in all its forms from around the world, from aged Yunnan tea cakes to chai sachets and Sri Lankan white teas, not to mention a huge clutch of tisanes and herbs. Stop by the leaf room and try whatever's brewing, or snuggle in at the cozy tea lounge next door to sample a food menu inspired by global tea-growing regions—samosas with tamarind chutney from India, soba noodle bowls from Japan, and Chinese baozi buns stuffed with greens, served with tangy black bean sauce. The Tao of Tea's cafe at the Lan Su Chinese Garden is also worth a visit—good tea is the perfect mild stimulant to fully enjoy the 40,000 transportive square feet of bamboo, orchids and water plants, all clustered around a meditative central pond. 724 NE 22nd Ave., 503-236-3539, thejasminepearl.com. 10 am-6 pm Monday-Friday, 11 am-5 pm Saturday, 11 am-4 pm Sunday. Jasmine Pearl's flagship teashop is hidden in an oft-overlooked part of the city, nestled between Southeast Sandy Boulevard and Interstate 84. The atmosphere is much like you'd find at any tea bar in town, but the quality and range of selection makes it noteworthy. You'll find a full range of loose-leaf teas available for purchase, along with several kinds of matcha and herbal blends. This is also where you'll find slightly more esoteric teas, such as GABA oolong, a partially oxidized tea from Taiwan that comes packed with gamma-aminobutyric acid, thought to be especially calming and relaxing for the nervous system. But the true highlight is the considered and curated set of ceramics, focused on local Portland ceramicists and inspired by global techniques. Here, you can pick up works by local artists like Will LaBelle, a Portland potter working in a range of distinctive colorways and cup forms drawing on midcentury Americana, as well as Ken Pincus, a ceramicist whose range includes wildly experimental pieces echoing the Old World. "Real tea people" largely roll their eyes at bubble tea. But in the right hands, and with the right vibe, it can be delicious. Tea Bar's take on bubble tea isn't overly sweet and lands somewhere more complex, delicious and recognizably tea-based than a lot of other bubble tea styles. There's also a tight list of teas available here, including a lovely white bai mudan tea that tastes great over ice on hot summer days, plus a bunch of Instagram-ready flavored lattes and soft serves. 110 SE Washington St., 503-719-8752, smithtea.com. 10 am-6 pm daily. Smith Tea is an empire, but the experience at its 13,000-square-foot space in Southeast Portland's Industrial District feels intimate and immediate rather than cold and corporate—you can expect hands-on service from a trained attendant, and lots of happy snippets of conversation floating in the background from your fellow guests. This is another spot in Portland ready to serve you multiple steeps from a gaiwan, gong fu cha-style, while also offering a huge range of ceramics, gift sets, teaware and much more. A range of teas are available on tap, including a popular Nitro Chai—Assam teas with a chai wallah's spicebox full of clove, cardamon, ginger and vanilla, smoothed out via nitro tap—plus a set of tasting flights focused on tea styles ranging from Darjeeling to Keemun. This is perhaps the city's best place for inexperienced tea drinkers to whet their curiosity and develop a new obsession. Just be forewarned: You'll find a lot of them packed in here. 6839 SE Belmont St., 503-384-2483, coquinepdx.com. 9:30 am-2:30 pm Monday-Tuesday, 9:30 am-2:30 pm and 5-10 pm Wednesday-Thursday, 8 am-2:30 pm and 5-10 pm Friday-Sunday. At most restaurants, tea is treated the same way as coffee—as an afterthought. Not at Coquine. Owners Katy Millard and Ksandek Podbielski care deeply about every single thing set on your table throughout the meal, including the tea that ends it. In that beautiful room—in the past we've called it "a bubble of elegance" and the bistro equivalent of a staycation—teas are served in vessels from noted local makers Pigeon Toe ceramics. 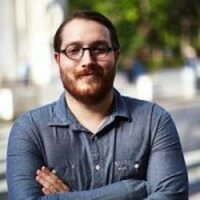 And while most places just serve you a tea bag of unknown provenance, Coquine's are culled from a tight list of nine choices from upstanding purveyors like T Project and Mountain Cloud and a couple of classy tisanes. Pair with Coquine's rightfully famous chocolate chip cookie and you've got yourself an all-time Portland meal-ender. 960 SE 11th Ave., 503-235-0059, kachkapdx.com. 11:30 am-2 pm and 4-10 pm Wednesday, Thursday and Sunday, 11:30 am-2 pm and 4-11 pm Friday-Saturday, 11:30 am-2 pm and 4-9 pm Monday. Closed Tuesdays. 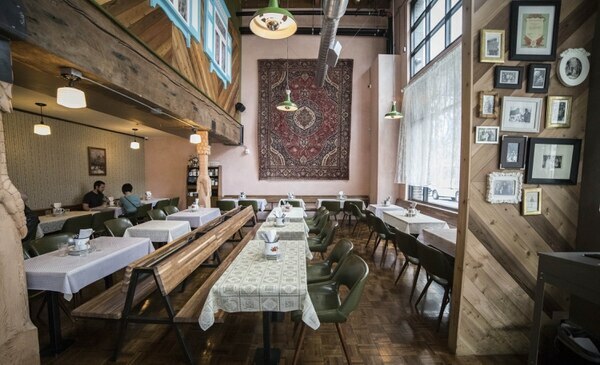 The Russians are obsessed with tea, and at Kachka—one of the finest Russian restaurants in America—tea is served in the traditional Russian podstakannik, a metal and glass vessel that evokes the traditional beer stein. Kachka sources a range of black tea bags from the continent, with blend names like "Nostalgia" (Ceylon black tea with black currant and strawberry leaves) and "Three Elephants" (a blend of strong black teas from Sri Lanka, Kenya and India). It's served with sugar and sliced lemon, and it's not impolite to add both to your metal-clad mug. The end result—sweet, tart, strong, dark—drinks perfectly alongside Kachka's set of traditional Russian tea cookies. This is about as far from oolong gong fu as it gets, beamed in from a wholly different tradition more rooted in Europe, but it is every bit as memorable.